#Wimbledon 2016 to hold singles events in wheelchair tennis. What does it mean for the sport? Wimbledon has announced its plans to hold wheelchair singles tennis events for both men and women from 2016. 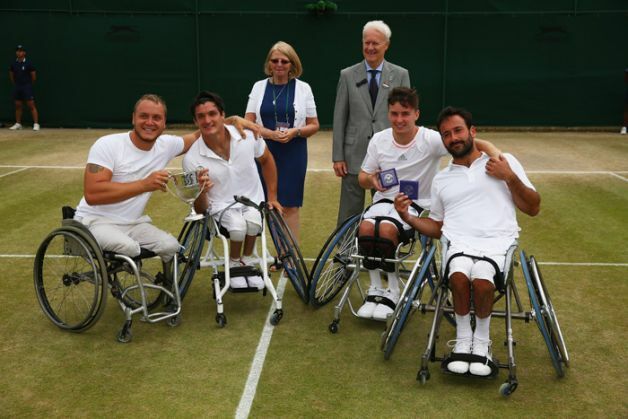 The wheelchair tennis event at Wimbledon currently only has a doubles category, and by introducing the singles section, it will become the fourth and final grand slam to hold both singles and doubles events in wheelchair tennis. What this means for the sport? As of 2015, Wimbledon is the only grand slam tournament to not have a singles category in wheelchair tennis. In 2002, Australian Open was the first major tournament to include wheelchair tennis. Three years later, both Wimbledon and US Open followed suit, but only the doubles events were held at Wimbledon, which remained the case until now. A further two years down the line, French Open too started holding wheelchair tennis in all categories. On 12 July, Wimbledon confirmed its plans for holding singles events on its official site, bringing it in line with the three other major tennis tournaments. The move has been welcomed by some of the sport's top players, with defending women's doubles champion at Wimbledon, Jordanne Whiley, terming it as 'a great opportunity' to showcase the sport at the highest level. American Brad Parks is widely accepted as the creator of wheelchair tennis. It was in the early 70s that competitive wheelchair tennis first took shape. In 1982, France became the first country to put in place a wheelchair tennis program. In the next few years, the sport quickly grew in popularity around the world, and was inducted to the Paralympic Games in 1992. After the Sydney Paralympics in 2000, increasing public awareness led to Australian Open holding wheelchair tennis events, after which the other grand slams soon followed suit.